Former Kumon kid, current tweeter. Ahh yes, welcome to my passion project. This took me way more time than I care to admit. Let’s begin. Salads are the low-key star of this show, and dammit, they need a raise. Yes, women may make 75 cents for every dollar a man makes, but salads on KUWTK make nothing and that’s a crime, too. They are the crux of this whole show, nay, empire. Without the salads, there would be no storylines. How else would they construct a setting for these people to discuss things that don’t matter? What are they going to do, just sit there? Please. 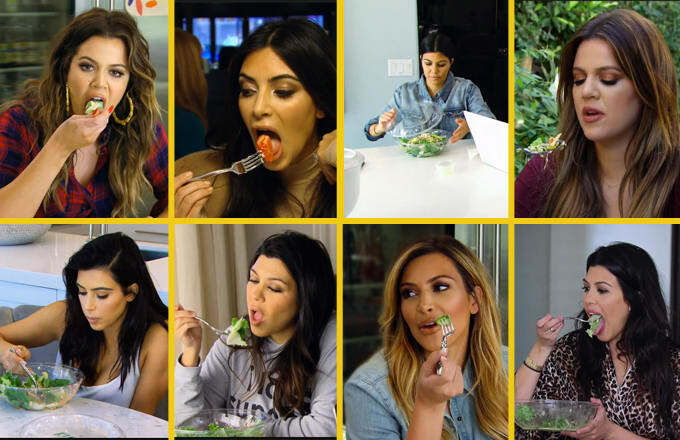 Once you notice that the Kardashians eat giant salads in each others’ Calabasas mansion kitchens, you reach the highest level in Scientology. As someone that’s reached that level, let me walk you through every moment I could find.